Metropolitan Atlanta’s transportation system has reached a critical juncture. Its highway and transit systems have failed to keep pace with population growth and changing travel patterns, and the result is congestion and a lack of mobility. 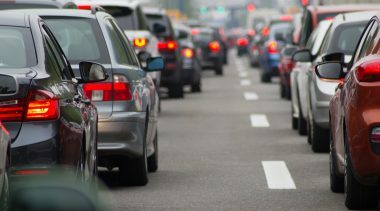 As the Texas Transportation Institute has pointed out, Atlanta’s average annual delay per auto commuter increased by 231 percent from 1982-2010, leading drivers to waste more than 142 hours in traffic and burn more than 63 million excess gallons of gasoline. Meanwhile, a study from Brookings Institution has noted that only 37 percent of metro Atlanta residents have access to transit, and that only 3.6 percent of jobs in the metro area are transit- accessible. Taken together, these problems have significant economic implications for Atlanta. For one thing, congestion and a lack of mobility reduce the effective size of the metropolitan area’s labor market, since people are able to reach fewer jobs within a reasonable time. That reduces productivity and economic output, and damages Atlanta’s competitiveness. It also shrinks people’s circles of opportunity, limiting their possibilities in entertainment, recreation and social life. This transportation plan aims to end traffic congestion as a regular part of life in metropolitan Atlanta and to dramatically increase the mobility of its residents. In trying to accomplish this, the plan does not focus solely on improving specific corridors or encouraging specific transportation modes. Rather, it prioritizes the development of a comprehensive highway and transit network for the entire region, outlines the practical strategies that can deliver such a network, and then identifies the projects that could make it a reality. Crucially, this plan also proposes an approach to funding its recommendations that requires no new tax revenue. In the short run, simply adding lane-miles to the freeway network can ease traffic bottlenecks and reduce congestion. But simple capacity expansion is only a temporary solution. First, it is difficult (and expensive) to keep up with a metropolitan area’s growth. Second, capacity expansion tends to induce additional demand for road space by encouraging drivers to satisfy previously unmet travel goals. Therefore, while this plan does propose 14 projects to add general-purpose lane capacity on Atlanta’s freeways, capacity expansion of this sort does not play a major part in its strategy to reduce congestion and increase mobility. Instead, this plan adopts a smarter approach, making the vast majority of new freeway lanes subject to dynamic pricing. While access to these Managed Lanes is free of charge for buses and vanpools, other drivers have to pay a variable toll to use them. That toll varies according to traffic conditions, which helps manage demand and keep traffic in the new lanes flowing smoothly at all times (as well as producing a new revenue stream). By arranging these Managed Lanes as a network across metropolitan Atlanta, consistent travel times can be guaranteed for transit users, carpoolers, and anyone willing to pay the requisite toll. Establishing a Managed Lane network is already a major part of Atlanta’s transportation infrastructure agenda. Accordingly, this plan updates HNTB Corporation’s 2010 Atlanta Regional Managed Lanes System Final Report for the Georgia Department of Transportation (GDOT), taking into account which components of the network have already been built, are under construction, or are soon to break ground. There are differences between the HNTB report and this plan, however. One key change is that this plan proposes using pylon barriers-not concrete ones-to separate Managed Lanes from the rest of the freeway. This has several advantages: first, they do not damage vehicles that need to cross the barrier in an emergency; second, they are less costly to install. This change, coupled with the effect of the recession and lower material costs in Georgia, allows this plan to revise the projected cost of the Managed Lane network down by 30 percent. In addition, this plan only allows buses and vanpools toll-free access to the new, grade-separated Managed Lanes, whereas the HNTB report assumed toll-free access for cars carrying three or more people. This change will slightly increase the percentage of the network’s costs that can be covered through toll revenue. On the other hand, due to lower vehicle-miles traveled growth rates and other factors, this plan counts on a somewhat smaller private sector contribution to the cost of the network (50, rather than 55, percent). A map of the proposed Managed Lanes network, which unlike the HNTB report includes a north- south tunnel connecting I-675 and SR 400 and a new east-west bypass north of metropolitan Atlanta, can be seen on page 42. 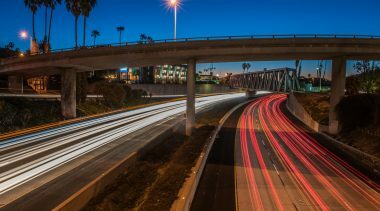 The total cost of the network, including the reconstruction of 19 associated freeway interchanges, is estimated at $16.5 billion over 30 years, with $7.5 billion of that coming from the private sector. One area where this plan goes far beyond the Atlanta Regional Commission’s existing long-range plan is in its proposals for a significantly upgraded arterial highway network to support Atlanta’s over-burdened freeways. Such a network is essential in a low density, post-World War II metropolitan area like Atlanta, in which the central business district accounts for a tiny percentage of jobs and suburb-to-suburb commuting is the dominant pattern of travel. As things stand, however, Atlanta lacks the effective grid of major arterial highways that in other Sunbelt metro areas provide the critical backbone of the transportation network. In fact, Atlanta’s arterial system was never adequately developed and is today one of the least effective major metropolitan area networks in the country. This coupled with the fact that Atlanta’s freeway system is predominantly radial in nature-that is, designed to feed traffic to and from the central business district-imposes a serious constraint on mobility. Therefore, this plan proposes the use of grade separation, access management, intelligent transportation systems and strategic capacity expansion to upgrade 11 existing arterials into a network of major primary arterials that offer an alternative to the existing freeway network, at an estimated cost of $2.6 billion over 30 years. A map of the proposed network can be seen on page 51. One feature of the proposed major primary arterial network worth noting is that the five new grade- separated interchanges on SR 141 would be managed underpasses or overpasses. Drivers would pay a small, variable toll to use the underpass and avoid waiting at the intersection; transit vehicles and some carpoolers would be able to use them for free. 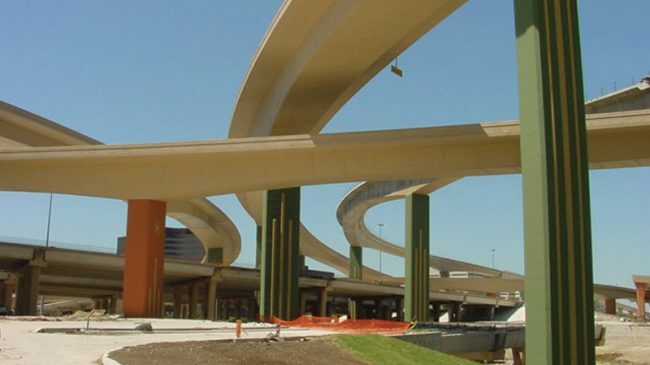 As with Managed Lanes, tolling these underpasses creates a revenue stream and allows demand to be managed so as to establish more- consistent and -reliable travel times. How Will These Highway Improvements Be Funded? Shift the remaining quarter of the revenue from the 4 percent statewide gasoline sales tax from the general fund to transportation uses. This shift will generate $5.8 billion over 30 years. Dedicate the revenue from all special purpose local option sales taxes paid on gasoline to transportation. This change will generate $18.6 billion over 30 years. Eliminate all gas-tax exemptions for state vehicles. 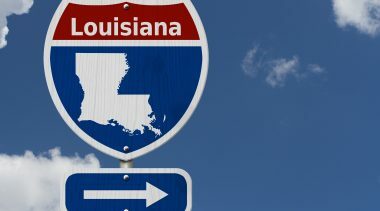 For state vehicles alone this will raise $1 billion over 30 years. 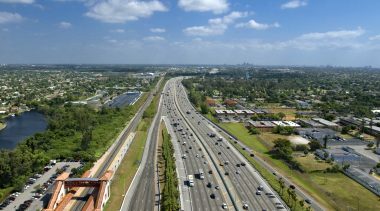 The additional revenues needed for the highway and intelligent transportation system proposals contained in this plan will come from the use of public-private partnerships to build Managed Lanes (generating $7.6 billion over 30 years), and all-electronic-tolling on Managed Lanes and Managed Arterials (generating $2.9 billion over 30 years). TIFIA loans will help finance a portion of the public resources, while Private Activity Bonds will help finance a portion of the private resources. Just as metropolitan Atlanta lacks a grid of major arterial highways, so too it lacks a comprehensive grid network for transit users. The MARTA heavy-rail network, which resembles a plus sign, is far too core-focused to be useful to many commuters in a decentralized metropolitan area like Atlanta. Significantly expanding it, moreover, is an unaffordably expensive proposition- and most likely a losing one too, given that only one station on the existing network has a surrounding population density high enough to justify heavy rail service. Meanwhile, the metropolitan area’s bus network is split between five different transit operators and displays little integration with MARTA rail service, inadequate route co-operation, differing fare structures, and patchy geographic coverage. This plan proposes that rather than waste time pursuing additional rail lines, policy makers should refocus MARTA on maintaining and improving its existing network, and then invest in the construction of cost-effective bus lines. This should take two main forms. First, this plan recommends adding 120 new local bus routes in the 13-county Atlanta region. Second, this plan recommends adding at least 20 new bus rapid transit (BRT) and express bus lines and identifies the most promising corridors for such bus service (as shown on page 15). In many respects, BRT is a low-cost alternative to heavy or light rail. Express bus, similarly, is a low-cost alternative to commuter rail. As a result, expanded express bus and BRT service would complement MARTA rail to create a far more effective transit grid network than currently exists. Furthermore, expanding BRT and express bus creates an opportunity to take advantage of this plan’s highway and intelligent transportation systems proposals. First, buses can use Managed Lanes free of charge. The guaranteed service levels and reliable travel times such lanes offer will be a considerable benefit to transit users. Second, this plan’s arterial highway proposals include the use of transit-signal priority systems, queue jumps, and grade-separated underpasses and overpasses-all of which get transit vehicles through intersections faster, making transit travel times shorter and more reliable. This plan also proposes three operational reforms to improve transit service in metropolitan Atlanta. First, in an effort to reduce costs and improve service, transit agencies should consider introducing contracting and competitive bidding across all their transit operations. Second, agencies should implement distance-based and time-of-day pricing. If structured correctly, this would increase ridership and revenue while also supporting more demand-responsive service provision. To offset potentially higher fares on some routes at some times, transit agencies should also consider offering vouchers to some low-income riders. Finally, Atlanta policy makers should consider establishing a mobility management center (modeled on Denver’s) to coordinate different agencies’ services and technologies and ensure that they function together as an effective network. In the absence of a functioning free market in metropolitan transit, some entity needs to play this role. How Will an Expanded Transit Network be Funded? 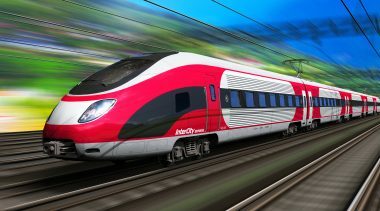 This plan recommends that metropolitan Atlanta’s counties maintain their transit funding at current levels, and that this be supplemented with annual match grants totaling $66.6 million from the state government, which will help them to fund the expansion of local bus, express bus and bus rapid transit networks. This is accomplished without the need for any additional tax revenue by shifting funds from other departmental budgets to transit, where it will deliver more bang-for-the-buck. Specifically, this plan recommends moving responsibility for funding transit from GDOT-where it will always play second fiddle to highways-to the Department of Community Affairs (DCA). DCA’s transit program should then be given an annual budget of $120 million-enough to cover new match funding for bus network expansion, and the establishment of the mobility management center. It is beyond the scope of this research to determine exactly where in existing state budgets this funding should come from, but with an overall budget of $16 billion and recent revenue growth, the state should not find it difficult to redirect $120 million annually to supplement transit. Many agencies have seen large increases in state funding, or are expecting them between FY 2013 and FY 2015. Diverting parts of these increases to support transit service would in many instances represent a much better use of taxpayer resources. Lastly, this plan encourages local governments and/or transit agencies to consider using value capture-likely through tax increment financing-to generate additional funding for bus rapid transit lines. This should raise at least $500 million over 30 years. Value capture could also be used to support MARTA rail, in combination with the existing MARTA special sales tax and, where necessary, grant anticipation notes. The proposals contained in this plan would give metropolitan Atlanta the comprehensive highway and transit networks it needs without requiring any new tax revenue. The plan would strengthen the user-pay/user-benefit principle on Atlanta’s roads, leverage significant private funds to deliver vital infrastructure, and give transit-dependent Atlantans faster, more extensive and more reliable service. This plan would reduce congestion and increase mobility, with all the economic and social benefits that entails. Needless to say, this is a long-range plan. Delivering the projects proposed here could take as long as 30 years. But the time for decisive action is now; the sooner Georgia’s policy makers get started on implementing this plan’s recommendations, the better metropolitan life will be for all Atlantans.